When designing a coastal home, flood codes have to be at the center of the project. We get the opportunity to be creative with access and entry ways, storage, and the decorative transition between above-flood and below-flood areas. And with this in mind, we are able to craft a beautiful home that not only abides by the flood codes, but also meets the aesthetic needs of the home owner. Flood codes affect the design of a coastal home in more ways than one. However, the most noticeable element is that the home is may be required to sit higher than a standard home. Building higher requires us to strategically think through the access and entry ways. We try to ease the journey into the house and take the focus of exteriors away from the needed staircases. This also requires us to think of the transition between above-flood and below-flood areas with composite banding, siding changes, and even decorative stone elements. Notice the flower-boxes build into the design of the tiered staircase at this coastal home. Additionally, most home owners utilize the basement of their home for storage. However, this is typically not an option in coastal homes. This requires us to get creative with integrating storage throughout the design of the home. We work in useful spaces based on the needs of the homeowner to make sure that the coastal home has enough room for storage and is comfortable to live in full-time. 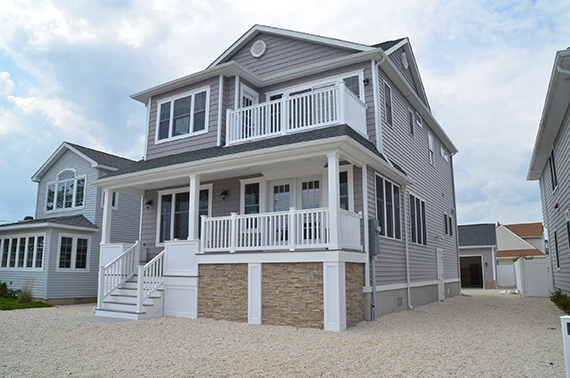 At Garden State Modular Homes, we work with you to design the beach home of your dreams. From the very beginning, we take you by the hand so that you understand the requirements of the flood codes. 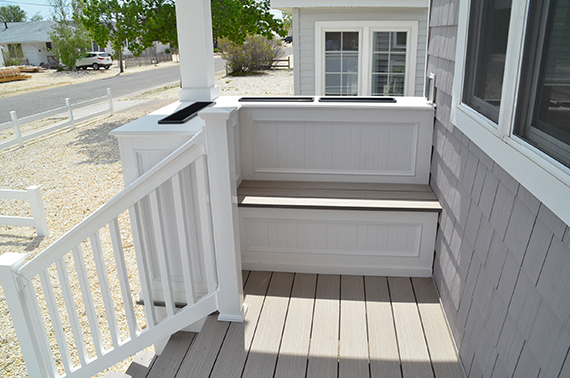 And together, we will design a beautiful and functional home for you to enjoy the ocean year round. For more information about designing a coastal home, please read our article: Design Aspects to Consider When Building a Coastal Home.